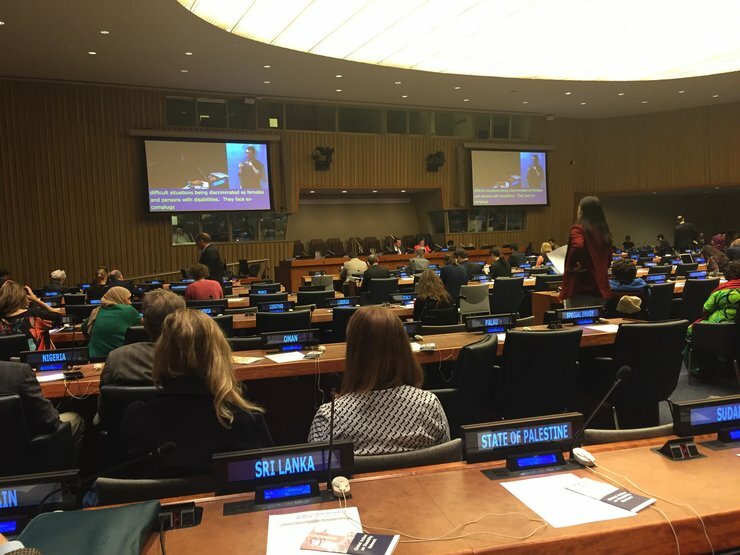 On June 14, Down Syndrome International President Patrick Clarke provided an official statement to the Conference of States Parties to the UN Convention on the Rights of Persons with Disabilities (CRPD) on political participation of persons with intellectual disabilities. The statement is available in full below. This is a very important issue for Down Syndrome International and for all our members, who are all, individuals or organisations, in varying degrees, actively engaged on the issue of political participation. The participation of persons with disabilities in society cannot be full and effective without properly including them in political life in the same way as any other citizen. In a democratic society, all members should have a chance to be heard and to shape the policies and decisions affecting their lives, to ensure that their needs are effectively recognised and met. Down Syndrome International and our members, have always worked to enable persons with Down syndrome participate in elections and political life. Our work centers on access to information in suitable formats to enable our members to participate in the electoral processes. As the European Union Fundamental Rights Agency report of 2014 tells us, persons with disabilities including persons with Down syndrome are more likely to become active citizens and participate in political life when they are given the possibility to do so. Persons with disabilities, persons with Down syndrome and persons with intellectual disabilities remain largely invisible in the political process even at the basic level of participating in elections. Persons with Down syndrome and intellectual disability face difficulty to participating in elections for many reasons including inaccessibility of information. We call on states parties to ensure that political information and programmes are published in accessible formats which includes Easy to Read and Easy to Understand. Access to information is an indispensable precondition for genuine political participation. Programmes of political parties are very rarely available in alternative formats. In addition, the visibility of persons with disabilities in electoral debates in the media should also be further encouraged. This affects not only their right to vote but also their possibility to become more active with a political party. The United Nations framework recognises the right of persons with disabilities to be free from discrimination in exercising their citizenship rights, including the right to vote and stand for elections. Furthermore, the right to participation in political life for all persons with disabilities and to equal recognition before the law is enshrined in the article 29 of the UN CRPD. Provide reasonable accommodation and the necessary support for persons with disabilities who want to engage with the political parties, from the lower to the top levels. It is essential that we leave no one behind. Everything about us – with us.